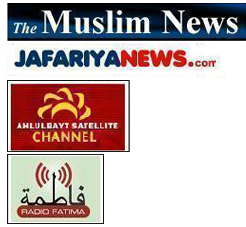 Just like the dates of birth and death of the Holy Prophet the date of his appointment to the prophetic mission is also not known definitely from the historical point of view; the Shi’ah scholars are almost unanimous that he was appointed to the prophetic mission on the 27th of Rajab and his prophethood commenced from the same day. However, the Sunni scholars usually claim that he was appointed to this mission during the holy month of Ramadan. As Shi’ahs claim to be the followers of the progeny of the Prophet and consider their reports to be true and final in the light of ‘Hadith Thaqalayn’, they have accepted the report of the progeny of the Prophet’s Household about the date of this appointment to the prophetic mission to be correct. The descendants of the Prophet say: “The chief of the family was appointed to the prophetic mission on the 27th of Rajab”. In view of this, Shi’ahs do not entertain any doubt about the correctness of this date. In the month of Ramadan the Qur’an was revealed. (Surah al-Baqarah, 2:185). We swear by the Glorious Book that We revealed the Qur’an on a blessed night. (Surah al-Dukhan, 44:2-3). It is evident from this verse (on the strength of the pronoun which turns towards the word ‘Book’) that it was revealed in its entirety during the Glorious Night (falling in the month of Ramadan), and it is only proper that this revelation should be other than the revelation which took place at the time of the appointment of the Prophet to the prophetic mission, because at that time only a few verses were revealed. The real and actual purpose of the Holy Qur’an saying that: We revealed it in the month of Ramadan is that it was revealed to the Holy Prophet during that month, because besides being revealed in parts the Holy Qur’an possesses a reality about which Almighty Allah informed His great Messenger in a particular night of the month of Ramadan. This reply shows that the Holy Qur’an possesses a total existence which was revealed in its entirety at one time in the month of Ramadan and it also possesses a gradual existence which lasted from the day of the Holy Prophet’s appointment to the prophetic mission up to the end of his life. As has been explained briefly regarding the different kinds of revelation, it has evidently various stages. The first stage is that of true visions and dreams. The second stage is that of oracular and heavenly voices which are heard without facing an angel. And the last stage is that when the Prophet sees an angel and hears the words of Allah from him and learns through him about the realities of other worlds. As the human soul does not possess the requisite strength to bear the different stages of revelation in the very first instance, it is necessary that the capacity to bear them should develop gradually, it may be said that: on the day of his appointment to the prophetic mission (27th of Rajab) and for some time thereafter the Holy Prophet heard only those Heavenly voices which informed him that he was the Messenger and Prophet of Allah and no verse was revealed during that period. And some time later gradual revelation of the Qur’an began in the month of Ramadan. By this we mean that the appointment of the Prophet to the prophetic mission in the month of Rajab is not attached to the revelation of the Qur’an in that month. In view of this there should be no discrepancy between the Qur’an being revealed in the month of Ramadan and the Prophet being appointed to the prophetic mission in the month of Rajab. Did the Holy Prophet profess any religion before his appointment to the prophetic mission? Supposing that he was the follower of a religion, was it his own religion? If he was the follower of any other religion was that religion revealed to him independently and he followed it independently or he was reckoned to be one of the followers of that religion? If he acted on that religion independently or as a follower, to which of the former Prophets did that religion belong? These are the four questions which one comes across in various books of Seerah (the Prophet’s biography), history, and exegesis. However, is it necessary that we should give definite replies to these questions? Is it basically necessary that we should study various books on history, exegesis and the Holy Prophet’s biography and collect the requisite answers? We feel that discussion of these particular points is not at all necessary.131 Rather what is important is that we should conclusively prove that before his appointment to the prophetic mission the Holy Prophet believed in and worshipped only Allah the One, and was pious and chaste. Firstly by studying his forty years’ life preceding his appointment to the prophetic mission, and secondly by scrutinizing what has been said on the subject by the leaders of Islam. (1). To sum up his forty years’ life was a life of modesty and chastity, honesty and truthfulness, uprightness and righteousness, goodness and kindness to the oppressed and the needy and hatred for the idols and the idol-worshippers. So much so that; once when he performed a journey to Syria in connection with trade and the other party, to a transaction, swore by idols he said “The most obnoxious things which always arouse my wrath are these very ‘Lat’ and ‘Manat’ by which you are swearing”. Besides this he prayed continuously in the cave of Hira during the month of Ramadan and performed Haj time and again, for as the sixth Imam says, he (the Holy Prophet) performed Haj secretly ten times and according to another narration twenty times. And, as we know, all Haj ceremonies are the performance of rites to which Prophet Ibrahim invited people and wished that by this means those who believe in Allah the One should assemble at one particular place during a fixed period. Is it possible to doubt the faith of a man who has passed his life in the manner stated above and who does not possess even the smallest weak point from the very beginning of his life, and who passes a part of his life in hills and in secluded places to meditate upon the beautiful phenomena of the world? We consider an ordinary man to be pious, dutiful and righteous if we observe one tenth of these qualities in him, what to speak of the Holy Prophet? 126. See: Allamah Muhammad Husayn Tabatabai, Tafsirul Mizan. 128. Manahilul ‘Irfan fi ‘Ulumil Qur’an, vol. I, page 37. 130. Biharul Anwar, vol. XVIll, pp. 184,190 and 193. 131. Biharul Anwar, vol. XVIII, pp. 271 – 281. 132. Nahjul Balaghah, vol. II, page 182.